I wrote a long message that didn’t get saved – I will recreate it bit by bit. Morning train from Ollantaytambo to Aguas Calientes, which is the town below Macchu Pichu. Our hotel was arranged by the taxi driver/travel agent in Cuzco and was quite satisfactory. We had the day to wander around town – mainly a tourist town. In the evening we met with our guide (part of the package) and some others (Brazilians) who will be with us to make arrangements for the morning. 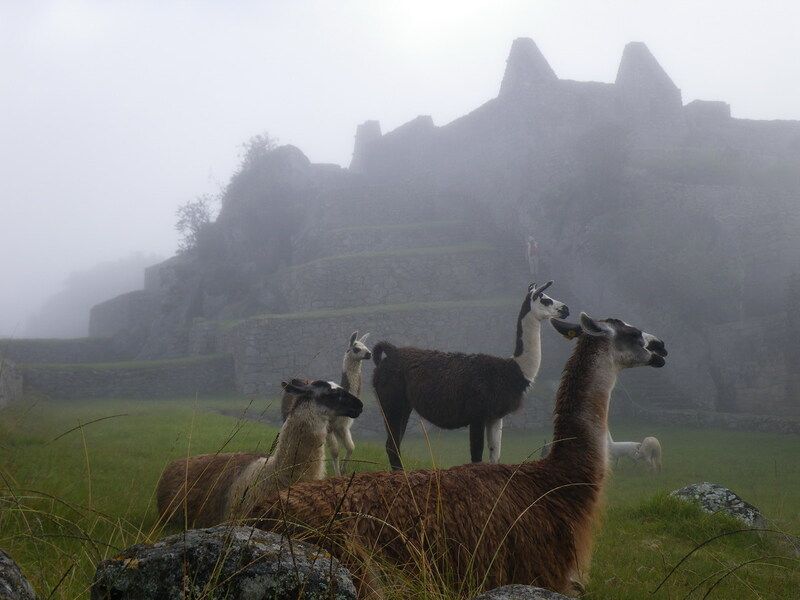 We were to be at the bus at 5 a.m. in order to line up for the tickets to hike up the next mountain Huayna Pichu. Only 400 are allowed up at each of 7 a.m. and 10 a.m. I wasn´t sure if I wanted to go up, but was happy to keep the option open. At 4:30 when it was time to get up, N informed me that she had been barfing during the night. However, she didn´t feel TOO bad, so we proceeded. She could have been worse off, but really didn´t savour the day as she might have! 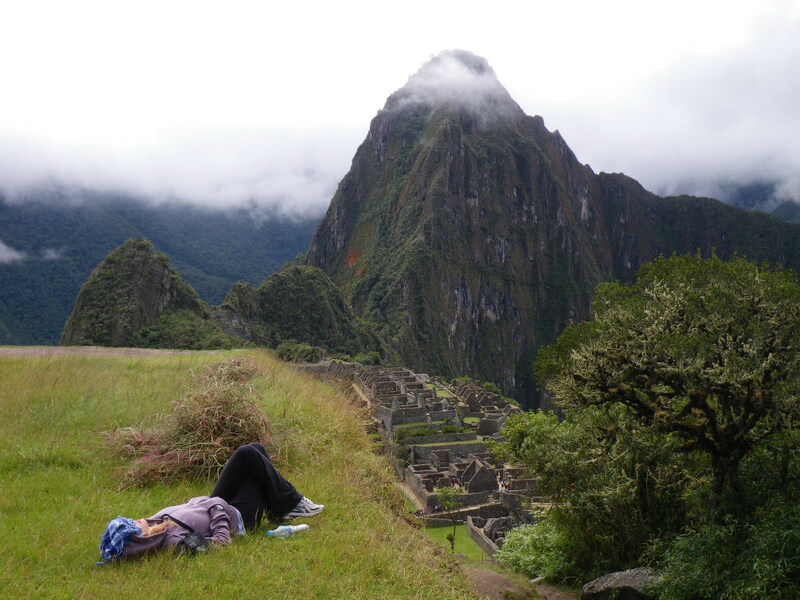 And she certainly wasn´t hiking up Huayna Pichu, which was a hard 1-hour+ hike. I walked in about 10 minutes and took some photos, but could see that the hike would be strenuous and I was happy not to go. Macchu Pichu is certainly impressive and we enjoyed sitting around admiring the view and the historic atmosphere for a few hours. You can see the photo of Nadine “relaxing” (thinking about her stomach) while I enjoyed the spectacular view.